We are a friendly team who are committed in creating a safe and fun environment for the children while parents attend the service. 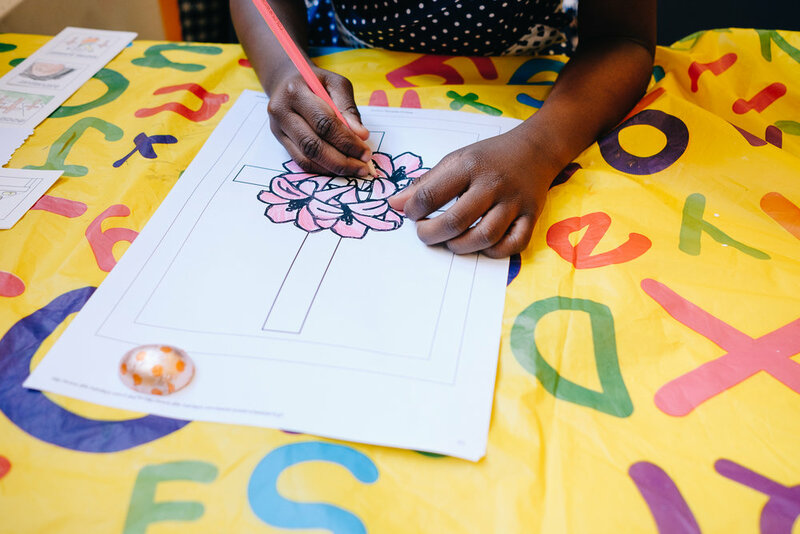 It is our purpose and hearts desire that Calvary London be a place where every child experiences Jesus Christ, growing to love and serve Him through the teaching of the Bible. We have volunteers who serve in our children’s ministry and teach them in an age appropriate way. The lessons comprise of Bible teaching, devotional time, games, crafts, quizzes and small group discussions. Please note all teachers and helpers are crb checked regularly. We have praise and worship with all the children, this is interactive and lots of fun. Children love to Worship the Lord! The Youth Ministry here at Calvary London is open to all of high school age (11-18 years). Like the service downstairs, we go through a book of the Bible and study what God’s word teaches, and what it says to us personally – ‘cause hey, Christ is more than just a guy from history and the Bible more than just a book. We hit on all sorts of topics. There are always questions, activity, and usually a few laughs along the way. We’re currently separated into 2 groups. The 11-13’s are currently studying the book of Revelation, whilst the 14+ are working their way through Genesis. As well as Sunday morning sessions, there have also been events such as In the Mix, the girl’s weekend, and our summer retreat. Coming up in May is the Break Free weekend in York for those between 14-18, and the activity packed Youth Retreat at Stubbers Adventure Centre in August open to all in the youth group. We’d like to encourage you to come along. Want a flavour of what we’re studying? Or maybe you missed a Sunday? Want to see what we got up to last summer? Check them out. Look forward to hearing from you, or even better, seeing you soon!